First Choice Blinds Roman blinds are elegant styling for your windows, Roman blinds are among the most popular window treatments as they compliment any style of home and decorating motif beautifully. Available in a wide range of fabrics, colours and patterns Roman blinds offer an affordable way to give a room pizazz and style. 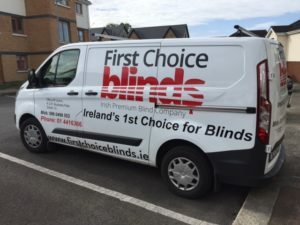 Let’s take a look at First Choice Blinds roman blinds in more depth. Roman blinds have been used as an effective window covering for centuries, in fact since the necessity for a practical and visually pleasing covering for windows, or window openings, has been needed. Flat pieces of fabric when used centuries ago to cover wall openings, which in later centuries had glass installed and became known as windows, to help prevent dust entering homes and to keep prying eyes from seeing inside a room. As the centuries past vertical operating cords were added to enable the blind to be raised or lowered when required. How First Choice Blinds Roman Blinds Constructed? First Choice Blinds roman blinds are made from a piece of flat fabric a Roman blind has a lining attached to the back of the fabric to form a sealed pocket, similar to an envelope, which has pull cords attached for raising and lowering the envelope of fabrics. When raised the fabric automatically folds and stacks on top of itself, creating a series of neat horizontal folds. When closed, lowered, the fabric becomes flat again to entirely cover the window. The folds, or pleats, are made by the insertion of slim wooden, metal or plastic rods, known as dowels, that fit into channels, or they can be made by tapes which are stitched horizontally across the back of the fabric at equidistant intervals. A series of cords are equally spaced across the width of the Roman blind and then threaded vertically down the length of the blind passing through the channels or tapes and securely attached to the bottom channel or tape. Once the blind has been threaded it is fixed to a metal or wooden header rail. The blind cord tops are threaded through hooks or cord carriers in the header rail and taken to either the right or left side of the blind where they all meet and create leverage in a the same way as a pulley system. How Do You Operate a Roman Blind? When the cords are all pulled together simultaneously the bottom dowel is raised up to meet the dowel above it. This creates a fold in the fabric, the higher the blind is raised the more folds are created until it is fully opened. The number of folds created is determined by the length of the window. The rods, channels and cords are all discreetly placed at the back of the blind and never visible from the front. This simple, yet effective, construction technique is what makes it possible to make Roman blinds from a wide variety of fabric textures and weights. Best Rooms for Roman Blinds be Used in? Due to the range of choice of fabrics and colours available for Roman blinds they can be used in virtually any room in your home. Roman blinds are masters at providing a sophisticated, elegant window dressing and are most often seen adorning windows of living rooms, dining rooms, master bedrooms, guest rooms, children’s room, conservatories and offices as they offer a more furnished look than roller, Venetian and vertical blinds. In conservatories and south facing windows that are subject to harsh sunlight, it is best to choose pale colours to help reduce the visible signs of fading over years of being in place. Insulating and blackout linings can help reduce fading, however, after years of consistently facing the sun fading is bound to occur to some degree. In bedrooms blackout linings are advisable, as these will help to keep the bedroom free from unwanted light pollution, making the room more conducive to rest and sleep. 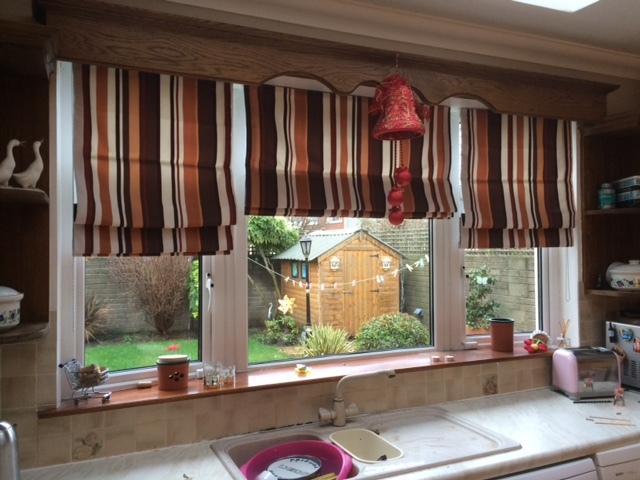 Is it Possible to Use Roman Blinds in Kitchens and Bathrooms? First Choice Blinds roman blinds aren’t usually made with moisture resistant fabrics or wipe-clean fabrics that are often used for humid atmospheres found in kitchens and bathrooms. However, with careful fabric selection, and the correct maintenance, there is no reason why you can’t use a Roman blind in your kitchen or bathroom. It is advisable to avoid completely plain fabrics as they are more likely to show splash marks, especially on luxury fabrics such as velvet, taffetas and faux silks. Polyester/cotton blends and 100% cotton is a better choice for humid atmospheres as they are more durable and far easier to maintain. When using a Roman blind in a room which is subjected to humidity it is advisable to mount it so that the fabric isn’t touching the glass or tiled walls which are prone to hold condensation and moisture. Fixing the blind slightly forward in the window recess, rather than at the back, will help to alleviate the problem. When ordering made to measure Roman blinds you simply have to choose the fabric and lining type, provide the measurements and say which side you’d like the controls to be on and they will be custom made to your requirements. You don’t need to make any hem and seam allowances, nor do you need to allow for clearances if you are going to fit the blind inside the window recess. There is also no need to assemble the blind, as the cords come ready threaded, adjusted and with a safety retainer. As all of the Roman blinds from Blinds Hut come ready to install, they will be attached to the cassette header or track. When you receive your Roman blinds all you have to do is follow the fitting instructions for the brackets and then click the pre-assembled blind into place. For detailed fitting instructions take a look at our guide to installing a Roman blind. For further information on safety precautions with cords and chains on Roman blinds please take a look at our Blind Safety guide. Can Roman Blinds be Made From Any Type of Fabric? 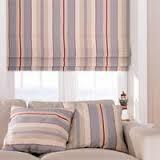 Roman blinds can be made from a wide choice of good quality fabrics. Plain, semi-plain or patterned fabrics can be used to coordinate or contrast with the colour scheme of your room. Pictorial and patterned fabrics can also be used to add visual interest to a window and compliment a room’s theme, while plain blocks of colour can be used to add a splash of colour. It is also possible to use the same fabric as other soft furnishings in the room to create a totally coordinated and matched style. 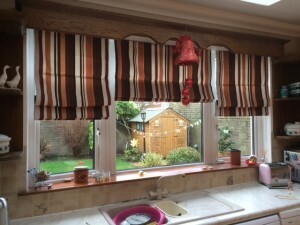 As Roman blinds can be made from various weights and thickness of fabric they can be used to create different looks. Lightweight taffeta or faux silk is ideal for creating crisp looking folds which shows off the smooth, lustrous sheen of the fabric beautifully. Medium weight cottons, polyester/cotton blends, linen, blended linen, damasks and Jacquard fabrics are ideal for making Roman blinds. ublin 2 encompasses most of the city centre south of the River Liffey and takes in areas around Merrion Square, Temple Bar, Grafton Street, Dame Street, Leeson Street and Wexford Street. It includes notable important buildings and tourist attractions such as Leinster House, St Stephen’s Green, the main National Museum building and The National Gallery of Ireland. The district also houses Government Buildings and is considered to be Government quarter of the state. The borders of Dublin 2 are the Liffey in the north, the Grand Canal to the south and east and Aungier, Wexford and Camden Streets to the west. Dublin 4 includes Ballsbridge, Belfield, Donnybrook, Irishtown, Merrion, Pembroke, Ringsend and Sandymount and contains the RDS grounds, Lansdowne Road stadium, and many embassies. “D4” has acquired its own socio-economic identity; see separate article at Dublin 4. Dublin 6W includes Harold’s Cross, Templeogue, Kimmage and Terenure. Dublin 8 includes Dolphin’s Barn, Inchicore, Islandbridge, Kilmainham, Merchants Quay, Portobello, South Circular Road, the Phoenix Park and the Liberties, and notable buildings include Christchurch Cathedral and St. Patrick’s Cathedral. It is unusual in that it is one of only two postal districts to span the Liffey. DuDblin 24 includes Firhouse, Jobstown, and Tallaght (see that article for component estates / localities, such as Kilnamanagh). Heavy weight fabrics such as velvet, crushed velvet, chenille and pure wool fabrics can also be used for Roman blinds, as they are able to be raised to create soft, neat folds and pleats. However, these fabrics do not make sharp, crisp folds or lay as flat as medium weight cottons, but they will give a sumptuous, voluptuous look that will not have any detrimental effects on the operating mechanisms. Heavy weight fabrics are a good choice for ill-fitting and draughty windows as they’ll provide a layer of insulation to the windows. 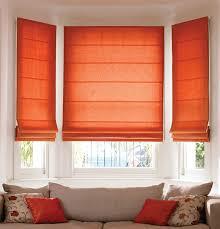 Most upholstery fabrics, more especially heavyweight fabrics, should be avoided for Roman blinds. Upholstery fabrics are typically thick to give them durability and strength, but they are also treated with fire retardant chemicals by dipping the material or back-coating it. This makes the material very stiff which prevent the Roman blind from folding correctly. Pure silk is not recommend for Roman blinds as it is affected by both moisture and harsh sunlight. Moisture can cause delicate silk to rot and harsh sunlight fades and deteriorates the fabric quickly. Neither of which scenarios is conducive to creating a practical and durable window dressing. All fabrics that are knitted or have a stretch weave are unsuitable for making Roman blinds. The fabric panel, or panels, for making Roman blinds needs to be cut with true, straight edges, which isn’t possible if the fabric cannot be measured and cut precisely. Stretch and knit fabrics also have a tendency to go out of shape easily, making the blind look unsightly and difficult to operate. Good quality lining fabric needs to be used in order for a Roman blind to be made correctly. The lining not only hides the tape channels, dowels etc., it also gives the blind fabric stability and shape, enabling the skilled seamstresses to achieve accurate finished measurements. The lining also protects the face fabric from fading due to sunlight and helps prevent the face fabric from touching any moisture present at the window. The lining is used to host the stitch channels or tapes that hold the dowels and operating cords. As both the lining and the tapes are usually white or cream they become virtually invisible when looking at the blind from from the outside of the window in the lowered position. This gives the blind a smart, professional finish from both sides. Why not to Choose Coloured Lining? (1). The sun can create a faded, striped effect on the back of the blinds. (2). White or cream tapes or stitch channels do not look attractive against dark or bright coloured fabrics when the blind is viewed from outside the window. The lining plays an important role in the type of shading the blind creates for your window. Polyester/cotton or standard cotton give what is known as ‘standard’ shading to a Roman blind. It will help protect the back of the face fabric from being damaged by the sun, but will not prevent light from filtering through the face fabric. The standard lining is useful if you want to lower the Roman blind during the daytime to prevent sun glare without completely darkening the room. Blackout or blockout linings do exactly as the name implies. They block out unwanted outside artificial or natural light from passing through the face fabric. Blackout linings are recommend for all bedroom Roman blinds and rooms which require good levels of sun blocking such as media rooms and home theatres. Blackout lining is also recommend on very lightweight fabrics such as lightweight cotton, faux silk and taffetas. These fabrics have a semi-transparent nature, particularly when daylight or bright sun are behind them, which means the dowel tapes, seams and operating cords may be visible when the Roman blind is lowered. This is not a very visually pleasing effect and the blackout lining will help prevent this for happening. These lightweight fabrics are also subject to slubs, naturally occurring small lumps of tread trapped in the weave, which can look like slightly darker patches or plucks which can create tiny holes in the weave of the fabric through which strong daylight make visible. A blackout lining prevents either of these two issues from being barely noticeable. Today’s modern blackout linings aren’t bulky and thick, so don’t think that they will detract from the beauty of a lightweight face fabric. Quite the contrast in fact, they will give stability and sustenance to the overall look. First Choice Blinds Roman blinds which have been made from more than one piece of fabric will also benefit from a blackout lining as the seams may be visible through the face fabric if only a ‘standard’ lining is used. As a blackout lining prevents light from penetrating through the blind it eliminates any shadow lines from the seams. Blinds Hunt offer a choice of three quality linings suit able for Roman blinds. 1. Standard – Polyester/cotton, available in cream only. 2. Luxury cotton sheen – Cotton, available in white or cream. 3. Supersoft blackout – Cotton, available in white or ivory. Simply make your selection from the drop menu as you go through the ordering system. Roman blinds have provided stylish window treatments for centuries. Today they continue to be one of the most popular window dressing choices and while their operating principles are basically the same, modern technology and manufacturing techniques, along with increased awareness in Health and Safety, have enabled Roman blinds to evolve to meet modern demands with the introduction of metal tracks, known as header rails, to replace the wooden baton, along with the introduction of a child safety mechanism. Curtain tracks on the other hand have a different construction and operating system and are unsuitable for mounting Roman blinds on. Aluminium Roman blind track systems, referred to as ‘standard tracks’, have been available for many years. They have the ability to handle light, medium and heavy weight fabric for small and medium sized windows effortlessly. The track system consist of a flat aluminium track with a Velcro front. Plastic cord carrier loops channel the cords correctly into place and are suspended beneath the track. A locking mechanism is supplied for one end of the track. The locking mechanism operates by trapping the cord between a pulley wheel system making the blind easy to use. 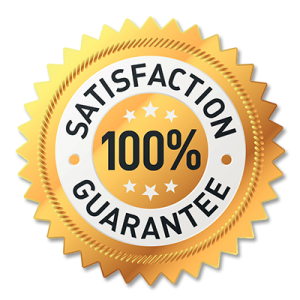 The locking mechanism can be fixed at any height between the fully raised or lowered positions without the need to warp excess cords around the cleat hook. For health and safety reasons cleat hooks are still recommended, so that not excessive amounts of cords aren’t loosely hanging. Once you have decided to use Roman blinds as your window dressing the next step is to decide whether you want them installed inside or outside the recess of your window. This decision is your choice, however, here are some points worth taking into consideration. Rooms with small windows and a poor natural light source need a window dressing that maximises what little light you have to make the room look and feel lighter and more spacious. If wall space or other obstructions aren’t an issue Roman blinds fitted to the outside and above of the recess can help you achieve more light and the illusion of larger windows. Mounting the blind above the window recess to accommodate the stack depth, the measurement of the Roman blind top to bottom when it is raised, means that it won’t sit next to the window pane and therefore not obstruct the light source as much as it will if the blind was installed inside the recess. When your window has architectural details, such as picture or dado rails that are inside the recess, you have to decide what width the Roman blind should be if you want to fit it inside the recess. If you decide to take the blind measurement between the width of the decorative feature there will be a gap both sides of the blind when it is fitted; alternatively you can fit the blind across the full width of the recess and accept that the blind may look slightly uncomfortable when it knocks against the mouldings. In this scenario it is worth considering fitting the Roman blind outside and above the recess to eliminate the issues. Only Blinds or Curtains as Well? When dressing windows in certain styles, such as ‘swags and tails’ there is a working blind fitted into the recess and curtains, swept open from the centre and draped down the sides to form the ‘swags and tails, which stay in place, and are never drawn closed. In this scenario you will be unable to mount the blinds outside the window recess as this is where the curtain track will be. When Roman blinds are the only window dressing it is often a better option to fit them to the outside of the window recess. This style gives a classy, elegant look to the window, particularly in living rooms, dining rooms and bedrooms, as the bottom edge of the blind typically covers the top edge of the window recess, adding a subtle softness to the window and taking the bareness off the room. When you little or no flat wall space at either side of the window then it is worth considering fitting the Roman blind inside the recess. Ideally Roman blinds should be fitted to the outside of the recess, extending a bare minimum of 5cms (2 ½ ”) both sides of the window. Usually 7 – 10cms (3” – 4”) is the recommended amount of extension beyond the window frame required for the blind to look stylish, and to help prevent light from creeping around the sides. if you don’t have the bare minimum of 5cms the blind would probably look better fitted inside the window recess. Can You Successfully Use Roman Blinds in Bay Windows? Bay windows are notorious for being difficult to dress with any type of window dressing, however, by giving consideration to the options, some careful planning and using hints and tips from ‘the experts’, you can dress your bay windows stylishly with Roman blinds. Always give consideration to the corners and angles of your bay window, take time to get the measurements correct and follow the guide below to dress your bay window in elegant style. Before you take the measurements for your Roman blinds you need to consider whether you want the inner side edges of the side blinds to the touch the side edges of the main centre panel (panels for a curved bay window) or whether you would prefer to have a slight, but obvious, gap between them. Roman blinds which touch at the side edges look very neat and tidy and are better at blocking out the light, however, they can create a stacking issue when the blinds are raised (open) in the fully stacked position due to the volume of the fabric. Crushing issues can also be a problem in this scenario, as the stacks of folds on the centre panel will meet the stacks of folds on the side panels at the angled corners of the bay window. By choosing to have a slight gap between the side of the blinds can help alleviate the potential crushing issue. Alternatively you may like to consider having each blind raised, open, at a slightly different level to avoid the problem. This is created by having the central blind raised fully to the top of the window and having the side panels raised to sit just below the stack folds of the central blind. This method gives a symmetrical and balanced look to the window dressing which gives very acceptable modern styling. With either option the blind needs to be set forward in the recess so that the back of the blind doesn’t snag on the window’s handles or catches and stop it from being raised or lowered easily. Not only will the blinds look unsightly if the handles make bulges, there is also the risk of the fabric being damaged and ripped or the operating cords becoming snagged. If you want the side blinds to touch the sides of the central blind/s you need to take the measurements from the corner point to where you want the outer edge of the blind to finish. If you want the blinds to have slight gaps to alleviate the potential crushing issue, then you need to take off the allowance to suit the look you’re after. However, you need to ensure that each blind measurement has the same amount take off to obtain a balanced and even look. Also take into consideration that the more allowance you take off the more the chances are that you will see the glass window pane, which does not give a smart, professional look and of course, will allow light to be seen around the sides and not give total privacy. Consideration of the depth size, front to back, is required because this will determine the type of header rail the Roman blind is going to be fitted on. The front point of the header rail is where the fabric of the blind is fixed to and therefore the point at which you need to take the measurements from. For example, if the thickness of the header rail is 40mm (1 ½ ”) from front to back, then, even if it is flush against the window frame and it doesn’t need to be moved forward to clear handles and catches, then you need to take the blinds’ measurements 40mm (1 ½”) forward of the window frame. If you need to fix the blind forward to clear the handles and catches, for example another 10mm (½”) then the front of the Roman blind will need to be a total of 50mm (2 ½”) forward of the frame – 40mm + 10mm = 50mm. This will be the position from which you need to take your width measurements. The inside recess measurements you provide for made-to-measure Roman blinds need to be very accurate. Always use a good quality steel tape measure rather than a fabric one, as fabric tape measures can stretch and give inaccurate measurements. Measure twice and order once! Take time when measuring, and always double check to ensure they are right. Ask someone to help you take the measurements, when possible, to ensure accuracy. First Choice Blinds have over 25 years experience in providing quality made to measure blinds, we can offer an extensive range of fabrics suitable for making beautiful Roman blinds, which means you can make your selections with confidence. Our easy to find search options you are able to choose by fabric or pattern type and colour. We have a simple check-list ordering process, so it couldn’t be easier to find exactly the style of Roman blind you’re looking for. 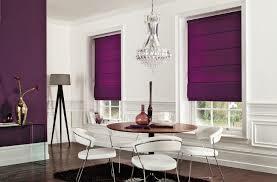 As you can see it is easy to have beautiful Roman blinds in your home with First Choice Blinds. First Choice Blinds made to measure blinds offer a stylish window dressing that suits virtually any style of home and decorating motif. Choose the fabric, colour and pattern of Roman blinds from the extensive selections and then follow the simple ordering process, taking care with your measurements, select the lining and place your order. Your Roman blinds will arrive ready to hang in your windows.